The prevalence of hydrogen, one of the most important fuel types of the aerospace and aerospace industry, is increasing in road vehicles. Toyota continues to invest in the future in order to prevent the widespread use of hydrogen, which is the first of the fuels of the future. The first hydrogen fuel cell car Mirai, which was developed by Toyota and launched in 2014, has reached 7,400 units today. Mirai, which means leşt Future 75 in Japanese, the first 8 months of 2018 sales was 753 thousand. Toyota, the world's first mass-production hybrid model Prius in 1997 to develop alternative fuel technologies, Toyota, he had sold 323 units that year. Today, it has reached 12 million 500 thousand hybrid sales. Hydrogen is one of the most important fuel types in the world. Researches on hydrogen fuel cell vehicles, which were started to be developed in 2009 for the first time, continue at full speed and since 2020s, many countries have been creating infrastructure to start using vehicles with transportation technology. This technology, which produces electricity from the hydrogen source, uses hydrogen produced from natural gas in general. Hydrogen can also be produced from wind, garbage, sewage sludge and water with a low CO 2 emission rate. Toyota, which continues to play a leading role in the production of clean and sustainable environmental cars with fuel cell technology that only release water vapor, has also introduced Mirai and its fuel cell forklifts, buses, trucks, generators and boats in Japan. 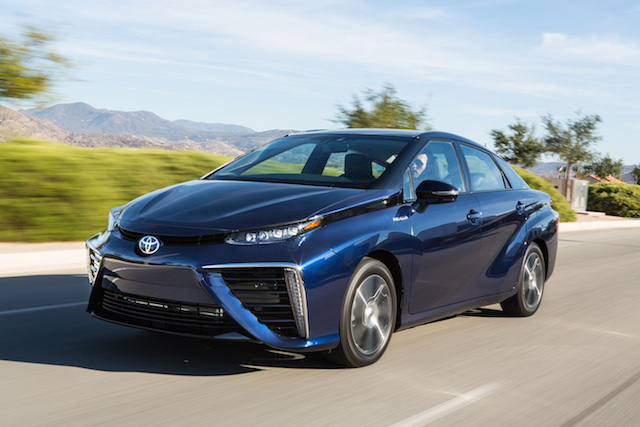 In the automotive industry, Toyota has been accelerating its work on the first hydrogen fuel cell in the last decade. In addition, the number of filling stations is increasing every day. In 2020 it is planned to establish 100 fuel cell filling stations in Germany, 160 in Korea and 65 in the UK.